ThingWorx is the leading industrial IoT platform purpose-built for driving industrial innovation. With ThingWorx, you can connect, build, manage, analyze and deliver IoT experiences. Whether you are building smart, connected products, transforming your operations and systems, or delivering IoT-enabled software solutions, ThingWorx can help you reach your go-to-market strategy. 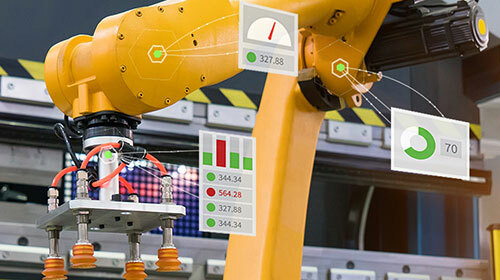 Learn more about the business value and capabilities of the ThingWorx Platform, Vuforia Studio, Apps, and Supporting Services.